A confidential note by KP Krishnan, then joint secretary in Department of Economic Affairs (DEA), which was sourced through an RTI query, shows the government’s interest in helping National Stock Exchange (NSE), a private equity entity. Krishnan, thanks to his posting and clout, was the blue-eyed boy of the then finance minister, P Chidam-baram. In this note, Krishnan said that two public sector undertakings, LIC and NABARD, should be ordered to divest their shareholding in NCDEX in favor of NSE so that it could become the single-largest shareholder of NCDEX. The note states that “the immediate need for this arises from the desire to revive NCDEX which must be done as early as possible so as to provide credible competition to MCX”. MCX, incidentally, was the crown jewel of FTIL, and India’s topmost and the world’s second-biggest commodity exchange. NSEL was not even operational then. This note was initialed by Chidambaram. At the time of this note, neither MCX nor NCDEX (both commodities exchanges) were within the regulatory purview of Krishnan or the ministry of finance, but were regulated by the Ministry of Consumer Affairs (MoCA). It is, therefore, surprising why Krishnan went beyond his jurisdiction. 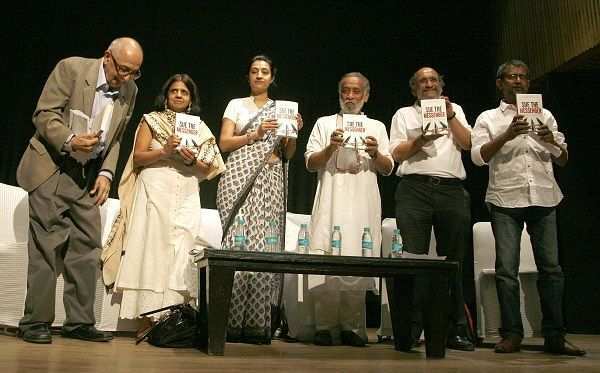 The beginning of FTIL’s end began in early October 2004 when finance minister Chidambaram and minister of Consumer Affairs, Food and Public Distribution Sharad Pawar discussed converging regulators of financial and commodity markets into a single entity, quite unlike the global trend where both had separate regulators. Pawar stiffly opposed the idea as agricultural commodities came under his ministry and he wasn’t willing to let go of such a huge turf. Pawar, with his political clout, managed to thwart Chidambaram’s aspirations and succeeded in keeping commodities markets out of Chidambaram’s clasps. 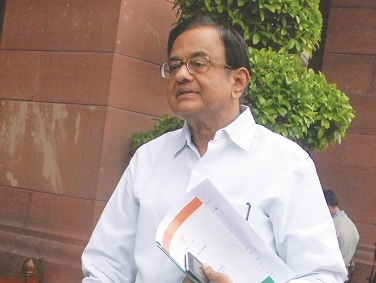 However, later Chidambaram was at the helm when FTIL’s downfall began. After the FMC was designated the agency to supervise and regulate spot exchanges, it sought clarification from NSEL regarding the exemption from the “operations of the provisions of Foreign Contribution Regulation Act (FCRA)”. Without checking the validity of the earlier general exemption granted to spot exchanges, FMC reported to the MCA of violation by NSEL. Despite NSEL’s detailed clarification in February 2012, the FMC sent a letter to the Department of Consumer Affairs on April 10, 2012, stating that NSEL had breached conditions of the exemption notification. It called upon the MCA to take action against NSEL. A counter-explanation with reminders by NSEL met with no response from the FMC. After a year, without prior notice, the FMC chairman Ramesh Abhishek on July 12, 2013, pushed the Ministry of Consumer Affairs to direct NSEL to halt launching of further and fresh contracts, leaving NSEL members and trading clients in the lurch. What was surprising was that while NSEL was asked to stop trading, another spot commodity exchange platform—NCDEX Spot Exchange—continued to function without a hitch. Further, FMC wrote a letter to the Ministry of Consumer Affairs—now sourced through RTI—that NSEL was closed abruptly without checking the legal validity (see letter). Meanwhile, defaulters, who had taken money from the trading members against their goods, started clandestinely selling the goods, while brokers who had indulged in margin funding and client code modification, panicked and sent recovery notices to their unsuspecting clients. However, NSEL secured nearly 84 percent of default monies by way of judicial decrees and injunctions on admission of dues by defaulters. The final nail in the coffin was delivered on October 2014 when Krishnan was to leave for a new posting. Before that, he made sure that the MCA, based on the August 2014 recommendation of the FMC, served a draft notice of amalgamation of NSEL with FTIL on October 21, 2014. This was done under the pretext of public interest, undermining the overall interests of 63,000 shareholders of FTIL. The FMC did not follow the way SEBI handled the 2006 IPO scam of NSDL. Then, SEBI chased 107 equity broker entities and recovered 25 percent of the monies due to 12 lakh investors. In the NSEL crisis, seven defaulters owed 85 percent of the total default amount, while 30 brokers accounted for 70 percent of total dues. FMC could have chased only 7-10 defaulting entities and solved the crisis. In his August 4, 2013, meeting with brokers and defaulters, Abhishek was assured by defaulters that they would pay back in a phased manner. Despite this assurance and the subsequent empowering of the FMC through gazette notification of August 6, 2013, it did nothing to disgorge defaulters’ assets. However, it turned its focus on NSEL, FTIL and its promoters. lHearing Pending: MCA is invoking Section 396 despite the matter pending for hearing. It has not given FTIL’s stakeholders an audience despite MCA promising to do so in the High Court. It has also ignored its own circular that sets out guidelines for amalgamation. No public interest involved: The amalgamation does not serve any public interest as it undermines the interest of over 63,000 legitimate shareholders of FTIL against the purported number of 13,000 trading clients on NSEL platform. Six percent of trading clients account for 66 percent of outstanding settlement obligation from the defaulters. Seven defaulters account for 85 percent of the total default amount. Trading Clients: The Bombay High Court has noted that the trading clients had been calling themselves as “investors” and termed these people “bogus traders”. lConcept of limited liability: By seeking to merge the subsidiary with parent company, the MCA is undermining the principle of Limited Liability which is the fundamental edifice of Company Law. Alleged lack of HR: NSEL has 57 full-time staff of which 18 are senior management, who are working towards recovery from defaulters. Alleged slow pace of recovery: NSEL has been able to secure a recovery amount of Rs4288.29 crore from defaulters through ways of decrees on admission and injunction. In addition, brokers have been already paid Rs542.99 crore, thereby cumulatively addressing liabilities of Rs4831.28 crore out of the total Rs5,600 crore. Therefore, 86.27 percent of default amount has been secured for recovery through decrees from the Bombay High Court and injunctions from other courts.